Two months after it was reported that the Big Ten struck a deal with Fox that would see the network paying the Big Ten $250 million per year for half of its media rights over six years, the Big Ten has now reportedly sold the other half of its rights. That second half, according to the SportsBusiness Journal, has been sold to ESPN. 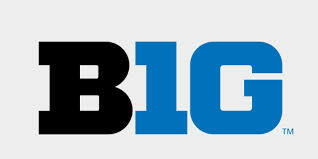 The Big Ten's old friend will pay the conference $190 million per year for six years. All of this is very good for the Big Ten -- and the Power Five conferences. The Big Ten will easily have the most lucrative television deal in place once these new deals with Fox and ESPN kick in for the 2017 season. The rest of the Power Five has now been reassured that ESPN remains an active buyer for live rights, certainly a reassuring sight to the leagues and their never-ending addiction to TV money during chaotic times for the pay-TV industry.